Outlook Customer Manager small businesses track and grow relationships with customers. 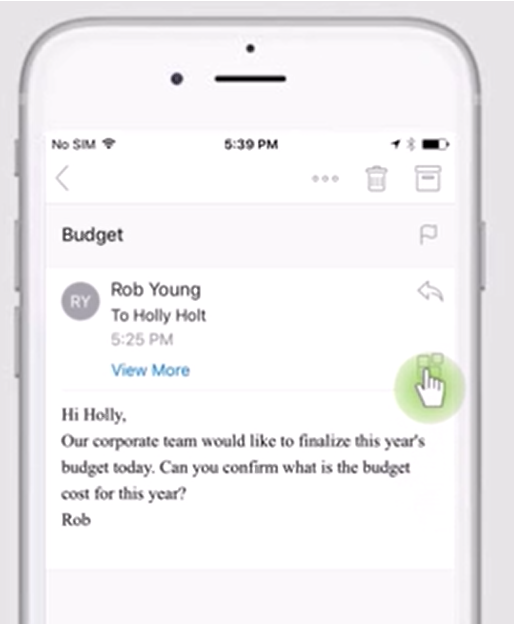 It adds functionality to Outlook to show customer communication history, surface important tasks and reminders, and track deal activities in one place to enable teams to stay on top of customer relationships. Because Outlook Customer Manager is built into Outlook, there's no need to install or learn new software, and Outlook Customer Manager can rely on data in emails, calendar, Skype for Business, and the Office Graph. Ask your admin to assign you a Business Premium license, if they haven't already. 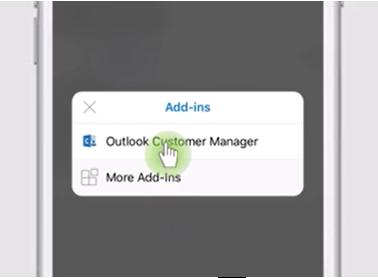 The Customer Manager add-in will install automatically in Outlook 2016. It can take up to 24 hours after you get the license for the Outlook Customer Manager add-in to appear in your Outlook ribbon. If you don't see Outlook Customer Manager installed on your Outlook ribbon, contact your administrator, so they can assign you the proper license. You can access Outlook Customer Manager through the button on the Outlook ribbon or through the navigation pane. The Customer Manager button on the ribbon is located on the Home tab, which is the default tab when you're viewing your email. 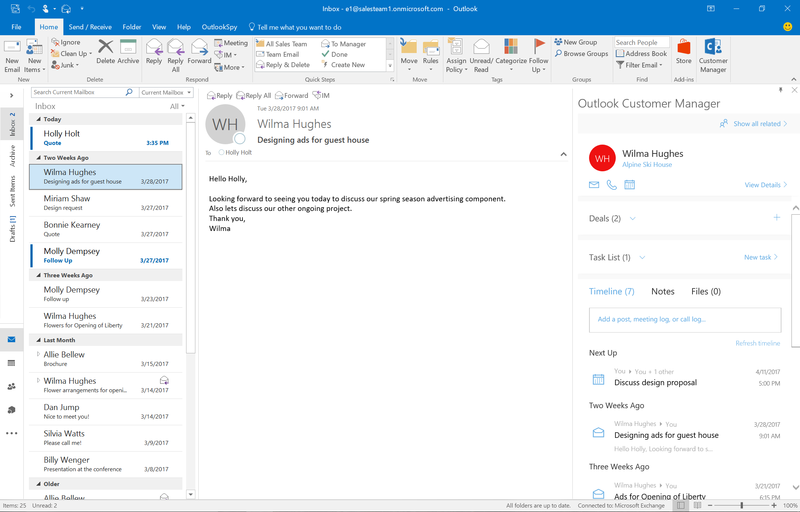 An Outlook Customer Manager pane shows you all pertinent information about a contact from your email. If you want to make sure you always see the Outlook Customer Manager pane, you can pin it. In the upper, right-hand corner of the app, choose the pin icon. You'll need to pin the app to the Reading Pane while reading an email and again while composing an email. If you want to use the navigation pane to access Outlook Customer Manager, choose in the nav pane and then choose Add-ins. You can customize the order of your nav pane options if you want Outlook Customer Manager to appear in a different place on the nav pane. ﻿When accessing your email from the web, you can now also access Outlook Customer Manager data. 1. Go to any email in Outlook on the web. 2. Find the Outlook Customer Manager icon in the right hand corner. 3. Selecting the icon will open the app right next to your email. This is in preview right now, and only supports email side by side. 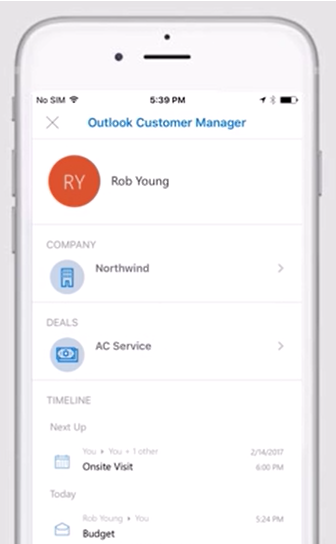 Apart from using the Outlook Customer Manager app, you can also use the Outlook mobile app to view Outlook Customer Manager data. 1. Go to any email in Outlook for iOS. 2. Open the Add-ins menu. 3. Select Outlook Customer Manager. This will open a limited, read-only view of your Outlook Customer Manager contact.